The custody case involving the Cannon children has once again been delayed, after the case was adjourned on Tuesday, December 12th at a Family Court in Belize City. The scheduled custody hearing between Anke Doehm and David Cannon, the adoptive mother, and father of Faye Lin Cannon’s three siblings could not be concluded because the Court is waiting for the completion of a Social Inquiry Report on behalf of Doehm. As a result of this missing report, the case was rescheduled to a later date next week, which the Court is yet to reveal. Cannon briefly told The Sun that he is hopeful that by next week the report is completed and there can be a positive solution in his custody case. He hopes that the case runs with no more delays. “I think it will be very sad for my children to spend Christmas in a foster care institution,” said Cannon. The custody case has been ongoing since October 5th, when Cannon gave his statements to the Court as he continues to fight for the custody of his three daughters. 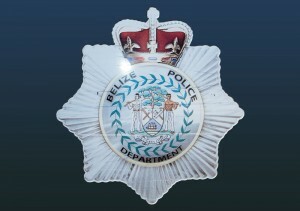 The girls have been under the care of the Belize Human Services Department since July of this year, when their sister, 13-year-old Faye Lin was found dead in her bedroom on July 3rd. During that time, the children were living with Anke and then-husband David Doehm on Ambergris Caye. Both David and Anke became the prime suspects in Faye’s death after a post-mortem examination revealed the girl’s body has signs of trauma and had been sexually abused and murdered. As a result, they were arrested, and the three girls removed to a safe place while an investigation was launched. On July 12th they were both charged with the crime ‘Cruelty to a Child,’ are remanded to the Belize Central Prison. A few days later they were out on bail, and both David and Anke were ordered to report every Monday to the Queen Street Police Station in the City. A few months later, when the criminal case was focusing on the forensic evidence, David Doehm committed suicide in a hotel room on October 5th. While Anke continues to fight for the custody of her adoptive daughters, she is now facing the charge of ‘Cruelty to a Child’ on her own. Her recent appearance in court regarding this charge was on Thursday, December 7th where without a lawyer, she represented herself. The case was adjourned as well to a date in February 2018.